Our behind-the-scenes breeding rooms which were once filled with our African penguin breeding pairs and their chicks are now empty. As the last two penguin chicks join the rest of the colony on exhibit we realize that we have completed the most successful breeding season on record for the New England Aquarium—eight breeding pairs successfully raised 11 chicks! The months of hard work were definitely worth it and the penguin staff would like to thank all of our co-ops, seasonal part time staff and volunteers. We could not have done this without all of them. 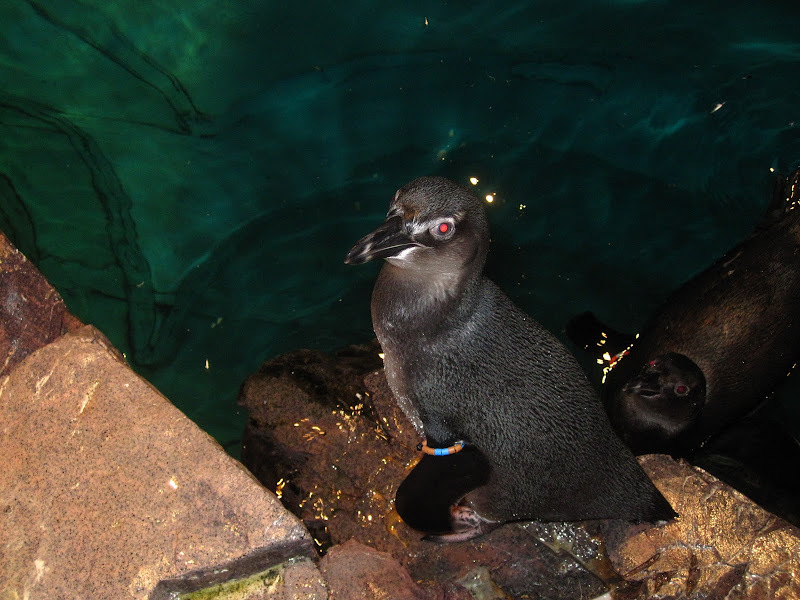 I hope you have enjoyed reading about our African penguin breeding process over the past few months as much as I enjoyed sharing it with all of our blog readers. The next time you are at the Aquarium definitely watch all of our new juvenile penguins as they find their place in our penguin colony.